AKIPRESS.COM - Baitik elementary school kids today presented a book they wrote, which will be available for use in the National Library for Children and Youth in Bishkek. Teachers, parents, representatives of the library and the Ministry of Education and Science participated in the event. 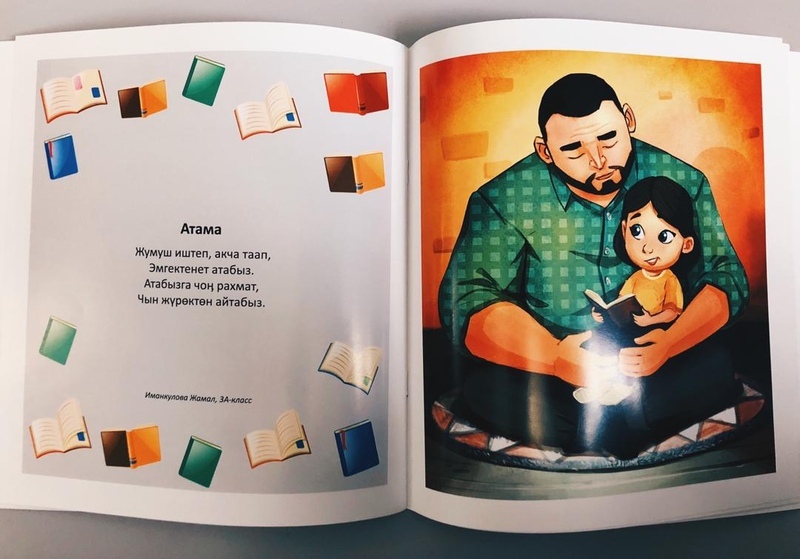 The book titled "Baitik Kids" is a collection of stories and short poems that were gathered among kids who live in Baitik village of Chui oblast. The poems and stories are about friendship, motherland, tolerance, nature and animals. The publication and professional illustrations were made possible by the Aga Khan Foundation Kyrgyz Republic and were funded by the Aga Khan Academy within the framework of the Family Reading Programme. “We are delighted to promote our flagship Early Childhood Development (ECD) programme through the implementation of such initiatives. I can not stress this enough, but when kids get to see the pieces they have written themselves published – poems, essays and short stories – they become eager to achieve even bigger results, and they read even more,” Burulai Aitikulova, Senior Education Advisor with the Aga Khan Foundation, said. She noted that by the time the programme finished their book contest among Baitik children aged seven to ten years, they had collected 20 of their best works written in different genres. The Aga Khan Foundation has published more than 55 Kyrgyz language children's illustrated books since 2006, which are used by more than 2,200 schools in the country.